Bankruptcy lawyers spend almost all their time dealing with the law as it is. After all, we’re not members of Congress. But as I deal with our bankruptcy law here in the U.S., I can’t help but wish it were different. Our bankruptcy law changed in 2005 when the Bankruptcy Abuse Prevention and Consumer Protection Act (“BAPCPA”) was passed. The law is widely regarded is being poorly drafted legislation purchased by creditors–particularly credit card issuers. One of the many bad ideas in the legislation is the requirement that Chapter 13 (“payment plan”) debtors earning more than the median income for their state must propose five-year repayment plans, instead of three-year plans. The vast majority of debtors fall into two classes: those who file Chapter 7 plans and are in bankruptcy approximately five months and those who file Chapter 13 cases and are in bankruptcy for five years. As I tell my clients: you’ll be in bankruptcy five months or five years. Is it any wonder clients choose the five month bankruptcy? The Canadian system has no equivalent of Chapter 7 bankruptcy. All debtors must file payment plan bankruptcies. However, bankruptcy is never a five year process. Every debtor must pay for at least nine months. If the debtor’s income is over a certain amount, the debtor is then required to pay for twenty-one months. And debtors who’ve filed bankruptcy previously must pay for twenty-four or thirty-six months, depending on their income. And that’s it: a nine to thirty-six month bankruptcy system. Why can’t we have one year or two year bankruptcies? We’re we the ones who put a man on the moon? There’s no reason we can’t do this here in the U.S. It’s short sighted to have such an extreme system. The difference isn’t in the fact that we in the U.S. just can’t figure it out; it’s in how our bankruptcy legislation was made. In the U.S. it was the product of millions of dollars of lobbying over an eight-year period. Debtor’s lawyers, consumer groups, and, perhaps most importantly, bankruptcy judges, were blocked from having any input into the system. Go figure. I still seems bizarre to me even after all these years. It’s just like my Uncle Al likes to say, “Pigs get fed and hogs get slaughtered.” And that applies to lopsided legislation like our current bankruptcy code. Postscript: For more on the Canadian bankruptcy system, see “Canadian Bankruptcy (Part One),” a post I did for Bankruptcy Law Network. In that post, I interviewed Canadian bankruptcy trustee, Doug Hoyes, who testified before the a Canadian Senate Committee prior to the passage of Canada’s recent bankruptcy law. (The Canadian government actually listened to someone who knew something about bankruptcy, rather than just lobbyists with fists full of cash.) 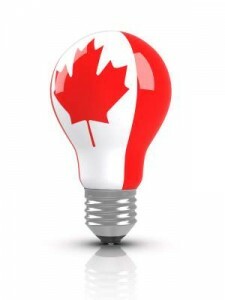 To learn more about Canadian bankruptcy, visit Doug’s site here. PreviousPrevious post:Don’t Shoot the Repo Man!NextNext post:Should You Reaffirm Your Mortgage?